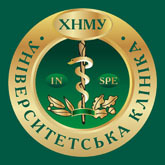 Department of General Surgery No.2 conducts educational work, care of patients, nursing practice at 4 departments of KZOZ «Kharkiv city general hospital 18». Educational work: for 2nd and 3rd year students of faculty of medicine No. 2 and 4, (Russian medium students), 5th and 6th year students of faculties of medicine No. 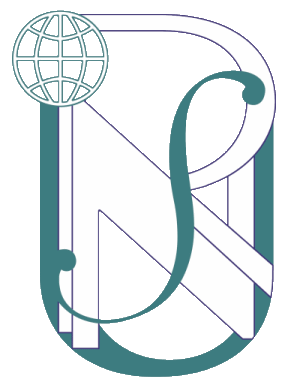 5 and 6 (international students) specializing in General Medicine in: «Care of patients (practice)»; «General surgery», «Nursing practice». Professor V.O. Sipliviy and professor G.D. Petrenko are the co authors of three books on surgery: «Surgery», Kyiv, «Health», 2004 – 488 p.; «Surgery» – K.; VSV, «Medicine», 2010 – 712 p.; «General surgery» - K.: VSV, «Medicine», 2010. – 448 p.
Profesor V.O. Sipliviy is a coauthor of manual «Lecture Course of General Surgery», Kyiv, 2011 – 486p., (Ukrainian, Russian and English languages), author of manuals «Estimation of surgical patient state severity», Kyiv, «books workshop », 2009 – 128p., (Ukrainian and Russian languages), «Antibiotics and antibacterial therapy in surgery», K. – 2006 – 100s. ; «Fundamentals of clinical surgery» (in two parts). 12 teaching guides for students and 15 educational films are made for improvement of educational process. With the purpose of preparation of students for «STEP-2», «STEP-3» state licensed exams, bank of test questions in «General surgery» was developed. Employees of the department take part in preparation of test questions for «STEP-2», «STEP-3» exams. Surgery of liver cirrhosis complications, obstructive jaundice, acute and chronic pancreatitis, peptic and duodenal ulcers, peritonitis, herniology, surgery of veins. Professor V. Sipliviy, and Professor A. Beresnyev received the State Prize of Ukraine in Science and Technology in 2008 for series of works "Development and introduction of modern methods of surgical treatment and prevention of complications of cirrhosis and portal vein diseases". Since 2004 more than 200 scientific publications, including 3 books, 8 books, 12 guidelines, 11 patents of Ukraine have been published. 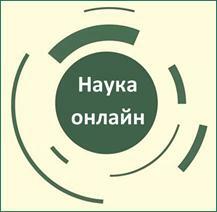 The staff of department participates in congresses and conferences in Ukraine, Russia and other countries. Three-year research "Developing individualized assessment methodology severity of disease and prognosis of patients with acute pancreatitis." was completed. Now the scientists of department perform research "Optimizing surgical treatment of gastroduodenal ulcers considering methods of surgical treatment and quality of life." During the recent years the staff of department participated in three international clinical trials. Annually the staff of department consult and treat more then 5,000 patients with different diseases of the internal organs. Difficult surgical operations for patients with pathology of the liver, extrahepatic bile ducts and pancreas, are performed by the staff of department.